This is seriously genius because though I don’t use nail vinyls a lot, there have been times when I’ve used up a whole sheet and thought, “Now darn it, who made this and what was it called?” So, from a consumer standpoint, I wish all nail vinyl makers did something like this. It’s so useful. 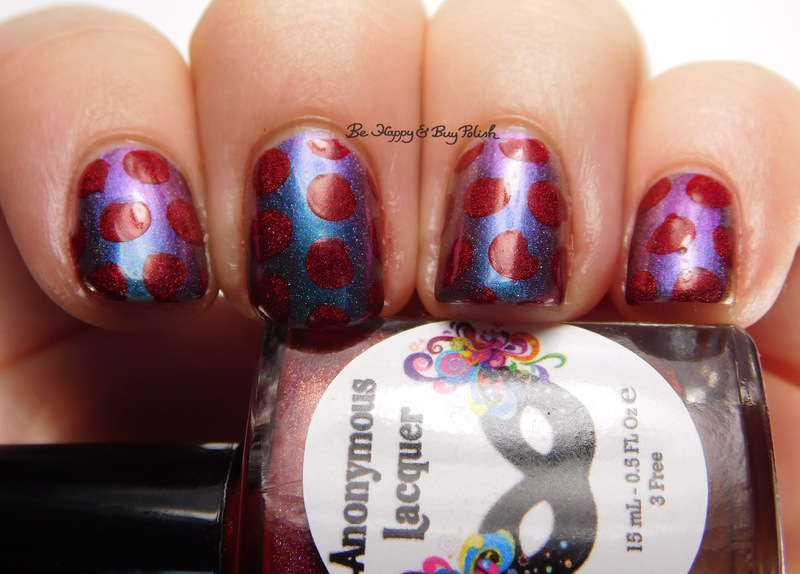 In the first mani I created, I used the fishnets variety vinyls, the kiss vinyl/cutouts, and the “xoxo” border. 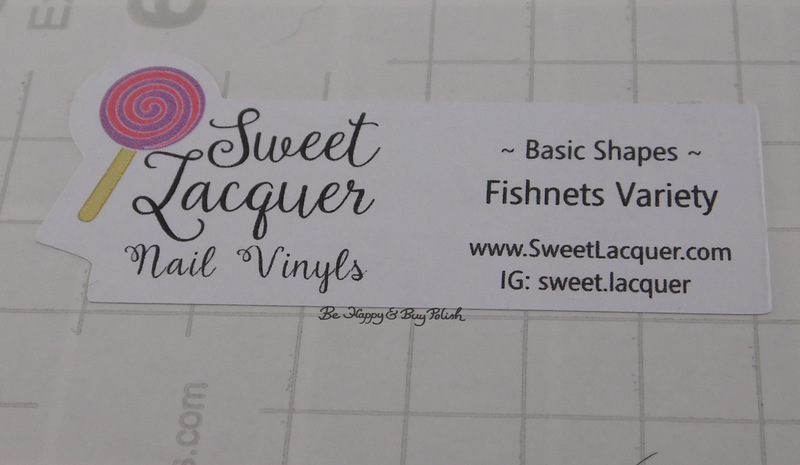 The fishnets variety vinyls threaded (separated) fairly easily and so did the others. I feel like I should have used a thinner polish for the kiss cut out because I lost some of the detailing. I started with 2 coats of China Glaze Liquid Leather on my index and middle fingers, then used Polished For Days P.Y.T. with the fishnet vinyls. On my ring finger is Vapid Surprise I’m Drunk with Pahlish Hallucinogenic Lipstick. My pinky has 3 coats of Pretty & Polished Candy Kiss with China Glaze High Hopes. For my second mani, I used the zigzags variety vinyls. Again, I had no problem getting them off the paper backing or getting them to stick. This was an extend-a-mani. I had started with ILNP Mona Lisa and used Girly Bits Cosmetics Dreaming Tree with it. 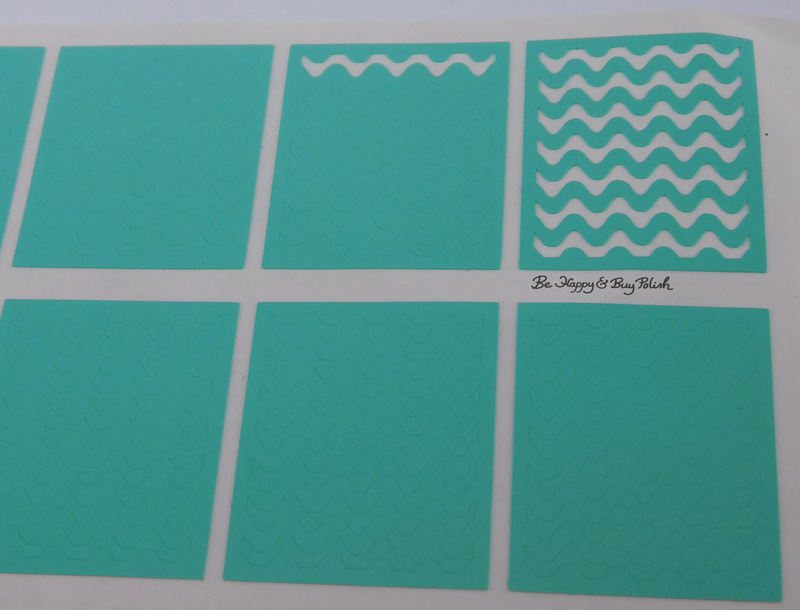 This next mani I used the skinny wavy zigzag stencils. 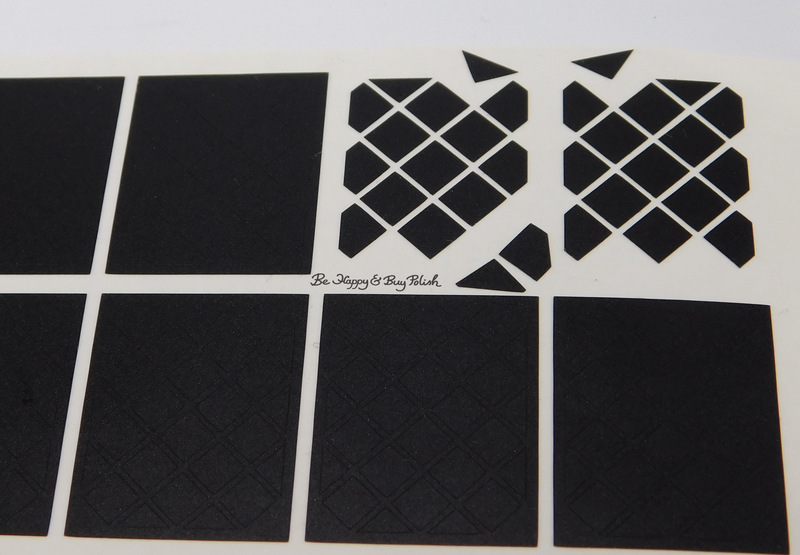 No problems peeling each stencil off the backing or getting them to stick. This was yet another extend-a-mani in which I had started with SinfulColors Prosecco [previously swatched] and used Pahlish Statue of a Girl with it. For this last mani, I used the medium dots stencils. I did have quite a bit of trouble weeding this design off the backing. I had started with Enchanted Polish Magical Mystery Tour, then used Anonymous Lacquer Wrath on top. 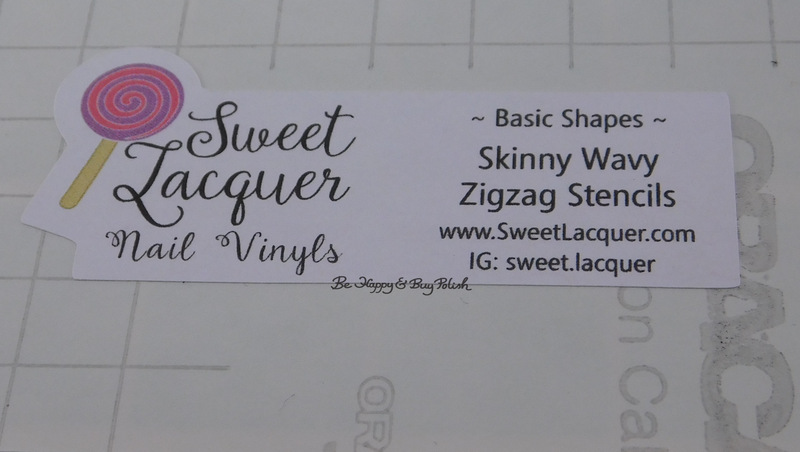 All in all, I’m really pleased with the vinyls from Sweet Lacquer. It seems like most full sheets are $4, which I think is reasonable. If you’re in the market for vinyls, I suggest giving them a try out! Which of these manis is your favorite? Well first of all, the businesscard-like back of the vinyls indeed is seriously useful! I find myself always searching my inbox for order details, lol. Second of all, I love your manis! Especially the first, it’s so fun! Isn’t that the most genius idea ever?! I’m always wondering as well. I’m glad you like the manis, it was nice to be able to have manis on for awhile. LOL! Some nice manicures using those nail vinyls. They look really good and there pretty affordable too.